Heatstroke is a medical emergency for a dog. If you suspect your dog is overheated, move him immediately to a shaded area and call your veterinarian. You should attempt to cool your dog using wet towels around his neck and head area and pour cool water on his abdomen and between his hind legs. Never use ice but do offer him water to drink. Dogs do not sweat. They cool down by panting. Heatstroke occurs when a dog's body temperature reaches an excess of 104 degrees Fahrenheit. Signs of heatstroke include excessive panting, breathing problems, drooling, confusion, weakness, seizures, diarrhea and vomiting. Move your dog to a shady area. Apply wet towels to his neck, head and groin area. Re-wet the towels every couple of minutes. Also, you can run cool water over your dog. Massage your dog's legs and wipe the water away as it absorbs the heat. Do not use ice or very cold water as this constricts blood flow. Offer your pet water to drink. 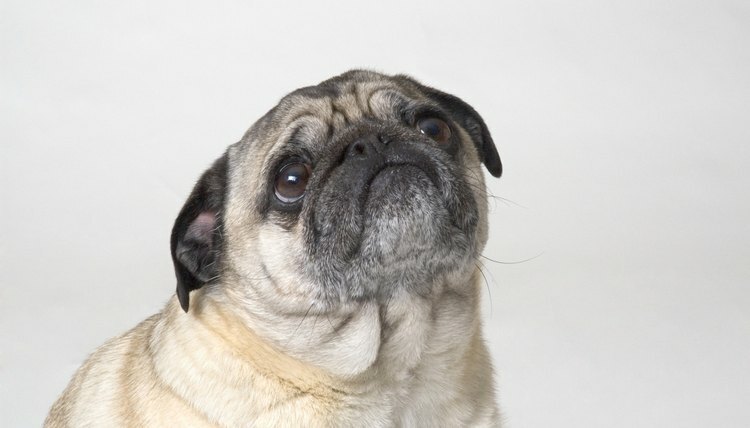 Short-nosed breeds such as pugs, Boston terriers and bulldogs are more prone to heatstroke because they do not pant as well as breeds with longer noses. Never leave your dog in a car on a hot day and do not force him to exercise without access to shade and water. This will help prevent heatstroke. Other risk factors for heatstroke include confinement on an asphalt surface and being muzzled on a warm or hot day. Heatstroke quickly can become life-threatening. If treated quickly healthy pets can make a full recovery. If treatment is not timely, a dog can suffer organ damage and death. Problems can arise even after the dog's temperature has returned to normal; therefore, prompt veterinary care is vital.